So How Is That Ban Working Out For UK ? 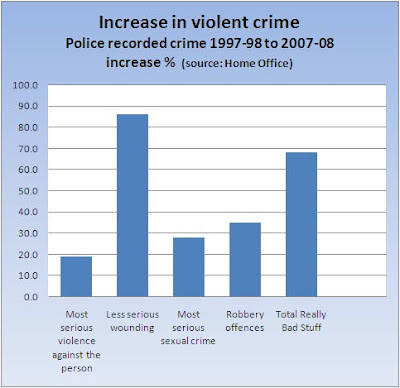 ” Gun crime has almost doubled since Labour came to power as a culture of extreme gang violence has taken hold. The latest Government figures show that the total number of firearm offences in England and Wales has increased from 5,209 in 1998/99 to 9,865 last year – a rise of 89 per cent.